Arthritis is a problem which many of us face after a certain age. After a point, there’s only so much you can do to try and beat the clock and fight off joint pain. There are, however, many natural arthritis cures which you many not be aware of. Here are some natural tips to reduce your knee joint pain and other arthritis-related aches naturally. This may sound cliche, but watching the pounds will actually do you a lot of good when it comes to your joint pains. Start some light exercises to keep yourself active and help you lose the excess weight. The slimmer you are, means that much less of a strain on your knees. Meditation can actually help ease your arthritic pain as it helps to relieve from stress. When stress is reduced, inflammation usually decreases, and one of the main causes of joint pain in arthritis is inflammation. It also helps to keep you calm, enabling you to deal with the pain easier. Omega-3 fatty acids can reduce stiffness in joins and inhibit pain. Omega-3 fatty acids are the good fats which are required in your diet to stay healthy. Make sure you are getting enough of them. Turmeric contains curcumin which has anti-inflammatory properties. This helps to reduce inflammation and gives relief from stiffness and pain. Fenugreek seeds are great natural inhibitors of Ama (toxins) and reduces aggravated Vata dosha. Fenugreek seeds can be added in your food, the other option is grinding and mixing them with mustard oil. You can then apply this mixture on your knees and hands. Another remedy is indulging in a gentle hot oil massage. Warmth is a great contributor to pain relief from arthritis. This is why a gentle hot oil massage with castor oil or sesame oil is just what you need. A hot oil massage can also correct an aggravated Vata dosha. Get yourself some organic castor oil here. 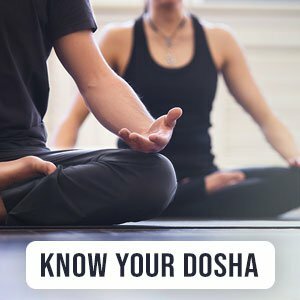 According to Ayurveda, there are different types of arthritis according to each dosha. Vata-type arthritis: Joint will usually crack, they may become dry. Ayurveda usually suggests Haritaki for this type of Arthritis. Pitta-type arthritis: You will usually experience a lot of inflammation with this type of arthritis. Movement is usually very painful and you may be able to notice some redness around the joints too. Amalaki is the best solution for this type of arthritis. Kapha-type arthritis: Joints become swollen and stiff however, they feel cold and dry. Bibitaki is usually used to cure this type of arthritis.